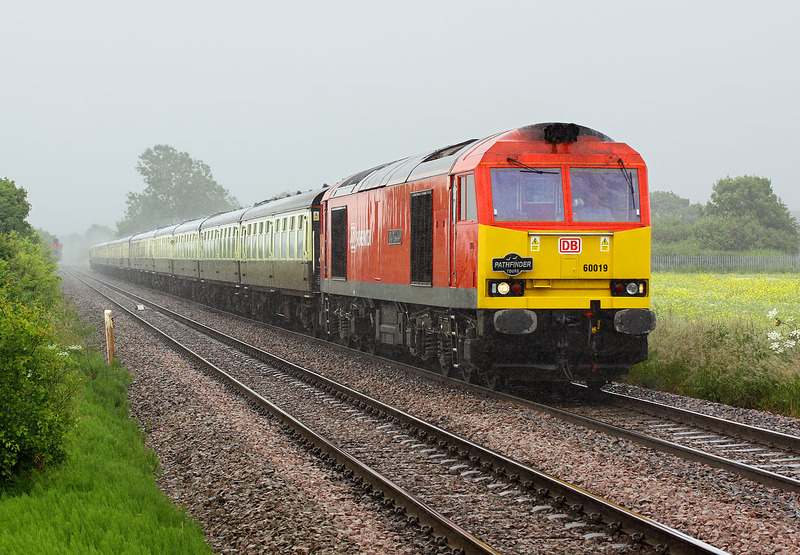 60019 Port of Grimsby & Immingham passes Walden Stubbs in monsoon conditions on 22 June 2013 with the Pathfinder Tours 1Z81 09:56 Sheffield to Leeds 'Loopy Doughnut' railtour. The train had originated from Bristol. Luckily the torrential rain only lasted a few minutes, but at least I suppose it does make the picture look atmospheric!